Style Scan plots individual stocks in Cartesian (X-Y) style space. In this way, every portfolio has a "style signature" that is unique, so we can compare managers and watch signatures change through time. 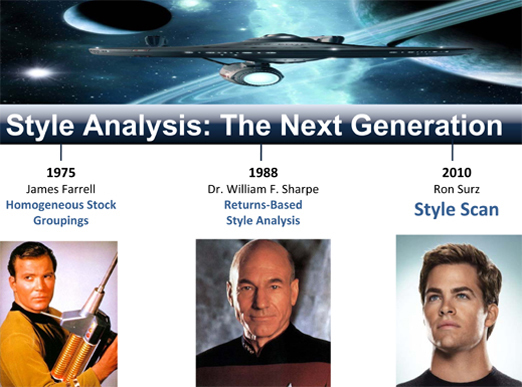 Sometimes, because stocks change styles, style drift occurs in the absence of trading. A Style Scan demonstration is now available . Click the DEMONSTRATION tab on the left for operating instructions.